The world's largest airplane took its first flight early Saturday. "We are incredibly proud of the Stratolaunch team, today's flight crew, our partners at Northrup Grumman's Scaled Composites and the Mojave Air and Space Port, " Jean Floyd, Stratolaunch's CEO, said in a statement on the company's website. The aircraft is created to fly satellite-carrying rockets to an altitude of about 35,000 feet (10,700 m), then release boosters so that they can launch their payloads up to orbit. Allen died of lymphoma in October 2018, only a handful of months before his creation could take flight for the first time. In the next three years, after completing the test phase, Stratolaunch expects to launch satellite-bearing rockets into space. The idea is to fly the plane to 10 km before releasing satellites into orbit. 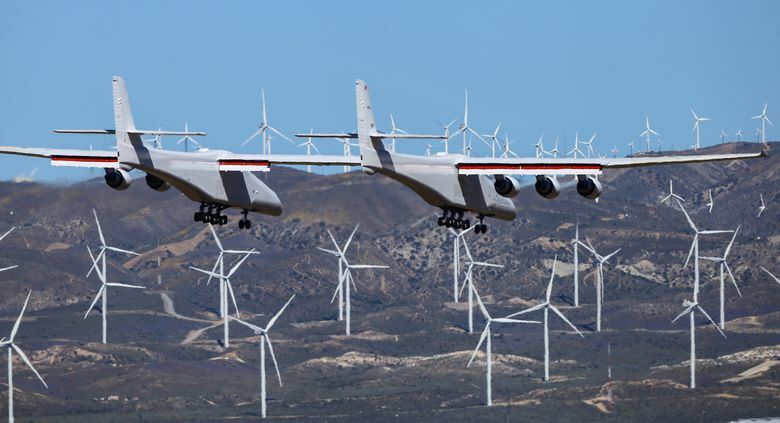 The test flight on Saturday enabled the Stratolaunch test team to conduct standard aircraft testing exercises.